Koh Lanta Open Water PADI course: an unforgettable step into a new life! Open Water Course in Koh Lanta will get you dive with us the Koh Lanta National Park! If you’ve always wanted to learn how to scuba dive, discover new adventures or simply see the wondrous world beneath the waves, starting with Phoenix Divers in Ko Haa, Koh Bida or Koh rok is the way. 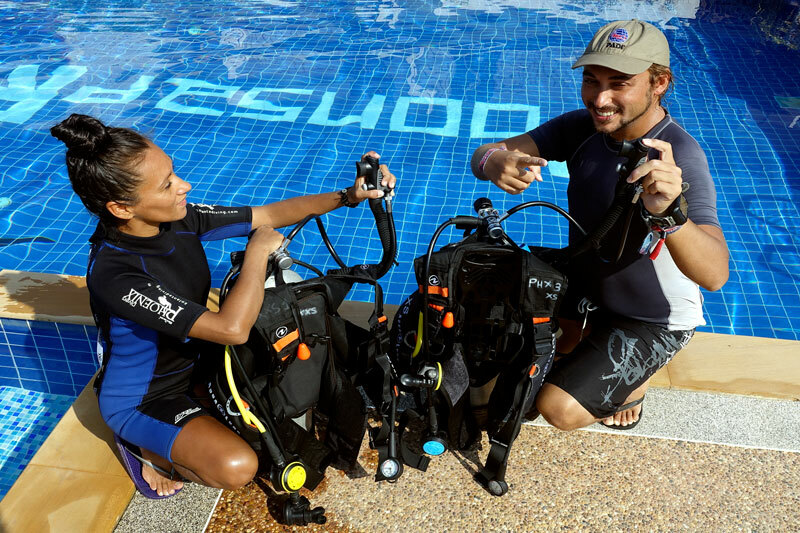 The famous Open Water Course, as the PADI standard course, is the world’s most popular scuba course, and has introduced millions of people to the adventurous diving lifestyle. Open Water Course in Koh Lanta with PhoenixDivers Koh Lanta will be your first unforgettable step into the diving world! Get your licence in less than 3 days! Max 3 students per instructor! Pool exercises to learn basic scuba skills, only half day. Open Water Dives to review your skills and explore, 2 dives per day, total 4 dives 2 days. Junior Advanced Open Water /Advanced Open Water Diver.